The new Thor Guard Weather desktop application provides speed and resolution compared to other weather subscription providers. All radar, satellite and forecast displays are accessible from a single page. The $250 annual subscription provides up to five separate computer subscriptions without a local Thor Guard data window ($500 with your Thor Guard data displayed). This state-of-the-art application is economical, user-friendly and very fast. Building outdoor stadium bleachers with Versa-Lok Retaining Wall Systems can save thousands of dollars over traditional bleachers. Besides being more affordable, Versa-Lok bleachers are more durable, quieter and warmer than other bleacher systems. Think outside the block with Versa-Lok—retaining walls and a whole lot more. Through a partnership with Strongwell, Wheeler now offers FRP (fiberglass) recreation bridges. Ideal for remote locations, FRP bridges are built from lightweight components. Bridge kits are available in truss or stringer designs. They are fully engineered and can be shipped loose, partially or completely assembled. FRP further enhances the bridge offerings from Wheeler. Specially formulated and disposable GymWipes products are designed to easily clean and sanitize fitness equipment surfaces. The GymWipes product line ranges from EPA-registered disinfecting/sanitizing formulas that protect against 50-plus pathogens including CA-MRSA, HIV and H1N1 to antimicrobial cleansing formulas for affordable cleansing options. All formulas contain no phenol, alcohol or bleach and are freshly scented. Buckets, refills and attractive dispensers and stands are available. The ECHO BRD-280 Bed Redefiner is designed to help shape flower bed edges that have rounded over time and help keep grassy areas looking manicured with well-defined bed edges. The BRD-280 is lighter and easier to use than current wheeled products, and it's up to seven times faster than a shovel. 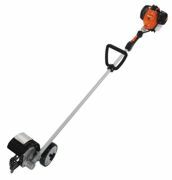 It features ECHO's 28.1cc Power Boost VortexTM engine for plenty of cutting power, ergonomically comfortable rubber left and right handle grips, a 59-inch straight shaft with flex cable drive, an oversized, high-impact plastic shield with guide marker, and a large, adjustable support wheel. The popular EQ Series pump, designed for commercial aquatic facilities, is now available in a 10HP, 230 Volt single phase unit. The new pump is a high-performance, low-noise-level unit with Pentair's unique EQ Series closed impellers that guarantee a long motor life even under the stress of higher loads. This lightweight, all-plastic pump construction is designed for maximum hydraulic performance, maximum corrosion resistance and one-man installation. 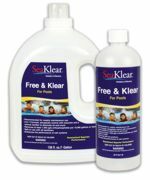 SeaKlear® announced a new "all in one" pool water treatment product to keep swimming pool water clean and clear. New Free & Klear is a simple, easy-to-use product that provides phosphate control, scum prevention and maintenance clarifier all in one bottle. 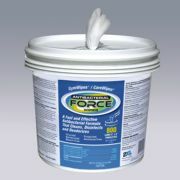 The 3-in-1 Formula provides phosphate control with enzymes and a natural clarifier to eliminate oil and scum. Free & Klear removes at least 1,000 ppb orthophosphates per 10,000 gallons of water. The AK600 swimming pool controller offers complete pump room control with a simple, touch screen display. Pool professionals can customize the application to any size pool. Microprocessor-based for complete programmability and a modular design allow it to easily expand up to 64 functions. The unit offers proportional control for exact chemical dosing—to reduce cost of chemicals. Password protected for security, the unit even has a voice module that can provide a report of all readings and the status of all relays—program to call center or office phones—when the alarm occurs. Control one pump room or up to three systems.